Research is now showing that children with autism do benefit from equine therapy. 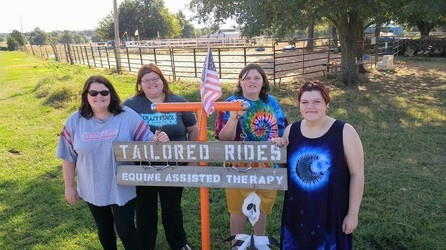 Tailored Rides Equine Assisted Therapy has a program specifically designed with the needs of children with autism in mind. Click on the orange text below for links on the research done and benefits of therapeutic riding for people with ASD. (Autism Spectrum Disorder.) Then call us at 903-401-9644 to schedule a time to come meet our horses and learn about our program. The Autism Spectrum Disorder Foundation states that equine therapy is highly beneficial to children with autism.